This custom Italian Villa invites you to find your peace and serenity behind it 8217;s sculpted wrought iron gates. Step under the first of many arched entry ways and through the imported 10ft solid mahogany doors. A grand vaulted foyer emphasized by classical columns, ornate wrought iron chandelier and travertine with inlaid marble set the tone of luxury. The blues of the intracoastal and greens of the preserve are showcased through the floor to ceiling wood stained incased impact windows. A one of a kind custom granite spiral staircase with an ornate artisan sculpted iron railing and sculptural chandelier with glass crystals is off the entry as is an elevator. The living room boasts a large fireplace with marble surround, arched and columns on either side. The warm colors and textures invite you into the open kitchen and family room. The large granite bar will be the gathering place before turning to watch the brilliant gulf coast sunset from the family room floor to ceiling impact French doors or from the brick paver lanai. The kitchen is equipped with double ovens, warming drawer, two microwaves and a commercial subzero refrigerator/freezer. The master has marble floors throughout, his and her vanity rooms and water closets; hers with a bidet. Marble and columns surround the bath, shared walk-in decoratively tiled shower. Every bedroom has an en-suite bath. The layers of luxury are too many to list. You must see this home! 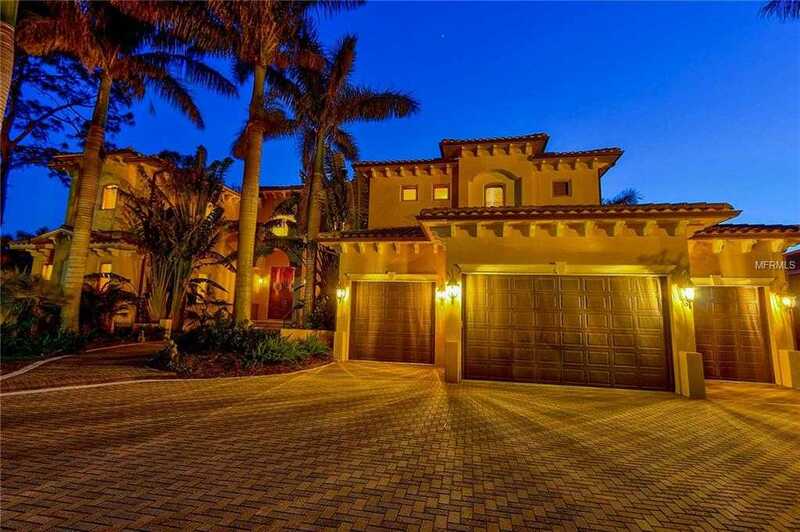 Please, send me more information on this property: MLS# N5917314 – $2,100,000 – 5830 Jamila River Dr, Venice, FL 34293.